Prior to your first consultation you will need to fill in our medical questionnaire, which you can either download as a PDF document from this website, or we can post it to you if you contact us by email or telephone. 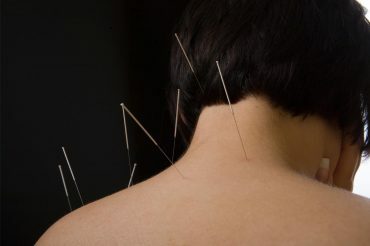 It is important that you provide your Osteopath with as many details about your medical history as you can; there are various medical conditions that can produce musculo-skeletal symptoms similar to those which would normally respond well to manipulation, but which would be unsuitable for Osteopathic treatment. Your medical history will enable your Osteopath to differentiate these problems and, if necessary, refer you back to your own Doctor for more appropriate treatment. The Osteopath will examine your spine, together with any relevant joints or limbs. It may be necessary to test your blood pressure, reflexes or your urine, depending on your problem. The subsequent treatment may vary greatly, depending upon such factors as your physical condition, the severity of the pain, your age and so forth. The treatment will usually consist of massage or ultrasound, together with some manipulation. Treatment may also include manual traction, electrical therapy, ice packs or a program of basic exercises. Following a treatment, it is not advisable to do any heavy lifting, or carrying (for example, bags of shopping), or any household tasks such as vacuuming, ironing or cleaning cupboards. After treatment, the muscles will be softened, and the joints released, so please take extra care for the rest of the day.